Jewish Family & Children’s Services of Southern New Jersey, the Cherry Hill Police Department and the Cherry Hill Public School District partnered to present a free suicide awareness and prevention program on April 10 at Cherry Hill High School East. “This Life Counts” was an hour-plus presentation and panel discussion forum geared toward tweens, teens and their parents. It featured seven professionals from JFCS, members of local police, Assistant Superintendent Justin Smith and Jordan Burnham from “Minding Your Mind,” who offered statistics, advice and their own stories regarding experiences with mental illness and suicide. “There are many communities who have faced the unthinkable and heart-wrenching loss of some of its youngest members as a result of death by suicide. We’ve experienced headlines that speak about the self-inflicted deaths of middle-school and high-school students and we’ve become more and more aware of the mental health challenges faced by so many,” said Meredith Cohen, director of special projects and compliance at JFCS, in front of a sparse but attentive crowd. According to a 2013 state health survey, 14 percent of all persons ages 10 to 24 have considered suicide at least once. Suicide is the third-leading cause of death in that same age bracket, and the state compiled a record of 362 suicides between 2012 and 2015 from that age bracket. 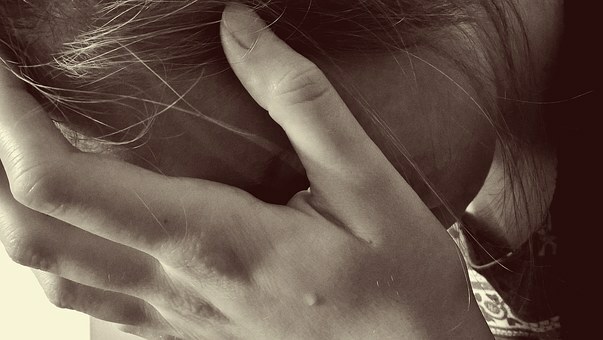 Lisa Rosenberg, one of JFCS’ licensed therapists, also revealed that 90 percent of all suicide attempts are directly related to some kind of brain disease – depression or other mental illness – and that 33 percent of suicides in the younger population occur within 24 hours of a perceived crisis. In addition, according to Cherry Hill Police Department records, from 2013-15, it received 1,377 calls for mental health services, logged 69 serious but incomplete suicide attempts, and recorded 20 deaths by suicide. Officer Eric Neumann further revealed that 85 percent of suicide attempts by gun result in death, and advised that gun owners in the township be certain to secure their firearms. “We take suicide as a personal loss,” he said. Neumann said each member of the department undergoes 40 hours of crisis intervention training, and that the police serve as the community’s 24/7 resource for mental health interventions. Leah Rosenkrantz, a psychiatrist who practices throughout South Jersey and treats children as well as adults, talked about the typical signs and symptoms of depression or suicidal thoughts in the younger population: sleeping too much/too little; sudden changes in daily habits or abrupt changes or stopping activities a child previously enjoyed; increased school absences; giving away important or meaningful items to friends; risky behaviors; self-medication; and somatic complaints: signs of physical illness which might point to emotional or mental health. “Every day in my practice, I am not so much talking as I am listening as children talk about depression and their thoughts about suicide. We know that depression that is undiagnosed, not treated or ineffectively treated is the No. 1 cause of suicide. What are some of the ways we can prevent this from happening?” she asked. Rosenkrantz further advised parents in the audience that talk of depression and thoughts of suicide in school-aged children may be more easily conveyed through a text message rather than a call or speaking directly to a parent or other concerned party. She stated parents should take a greater role in monitoring electronic devices or social media accounts to look out for such messages. Perhaps the most impactful portion of the evening came during Burnham’s speech. Burnham, whose story has made national headlines and was featured on an episode of ESPN’s “E:60” program, was 18 years old in 2007, struggling with depression, alcoholism and suicidal thoughts when he jumped from a ninth-story window and survived a 100-foot fall. The tale of a young man from a stable home, given every opportunity to succeed, but who still fell prey to the capriciousness of mental illness, seemed to resonate. Each parent or child in attendance was given a yellow folder with mindfulness exercises, tips for parents to discuss depression, anxiety and suicidal thoughts with their children, as well as contact information for crisis and prevention resources. “It’s all scary, and that’s why we’re here. I thought Jordan’s speech was most impactful. I thought it was a great program, and taking it to the schools would be more helpful for the kids,” said Amy Morris, whose husband Robert and teenage son, Carter Gill, attended the forum and huddled together in conversation several times throughout. JFCS provides social services for Jewish families and the community at large. Its regional office, located in Cherry Hill can be reached at (856) 424-1333 or by visiting https://jfcssnj.org/. The National Suicide Prevention Hotline number is 1-800-273-8255 and is available around the clock each day. Those in crisis can also contact Cherry Hill Police Department at (856) 665-1200. “The challenge of mental health and youth suicide remains painful. The impact on families, schools and communities is especially unbearable. There is a stigma around mental illness and the subject of suicide is still generally taboo. Yet, the only way to truly confront this silent epidemic is to talk about it, and to talk about how to protect our families,” added Cherry Hill Police Chief William “Bud” Monaghan.